When a brand lands in the UK and is immediately snapped up by Cult Beauty as an exclusive, I pay attention. When the above happens and then said brand notches up 17,000 names on its waiting list, more than any other in Cult Beauty history, I slam down my black americano, sideline the 50-shade eyeshadow palette I was painting onto the side of my arm and make it my mission to find out more. 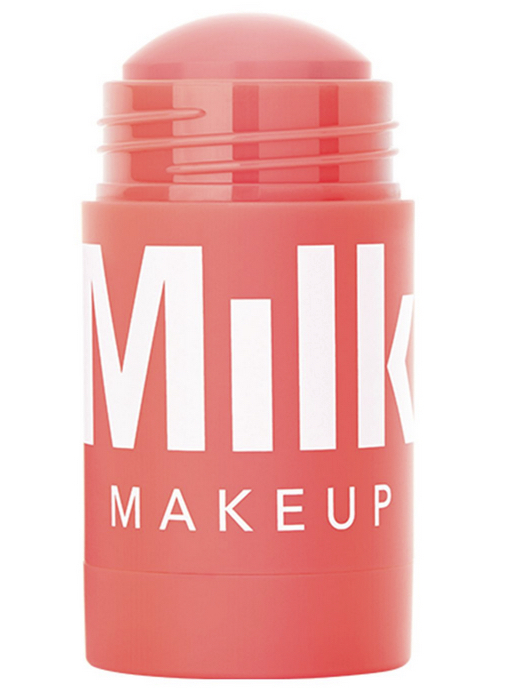 So what is Milk Makeup? This New York based brand ticks a lot of 2019 beauty buzz boxes – it’s vegan, cruelty free, and doesn’t contain parabens. 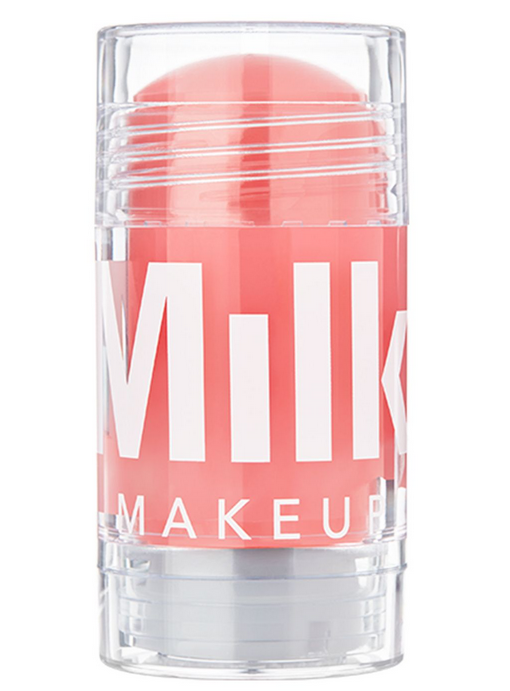 But unlike many trend-driven insta-brands, these products come from thecreative team behind Milk photo studios, so those kind ingredients also last the distance under pressure, give serious pigment payoff and come in multitasking life-friendly designs. This pleasingly chunky twist-up stick comes in five shades and can be used on, you guessed it, lips and cheeks. It works nicely on eyes too as, unlike many sheer lip-cheek duos this can be built up for an opaque stain-like finish. This can be used either under makeup to prime or over it to fix. So far so classic setting mist, right? Wrong. This has a unique soft-focus finish that looks similar to one of those pricy micro-fine loose glow powders. 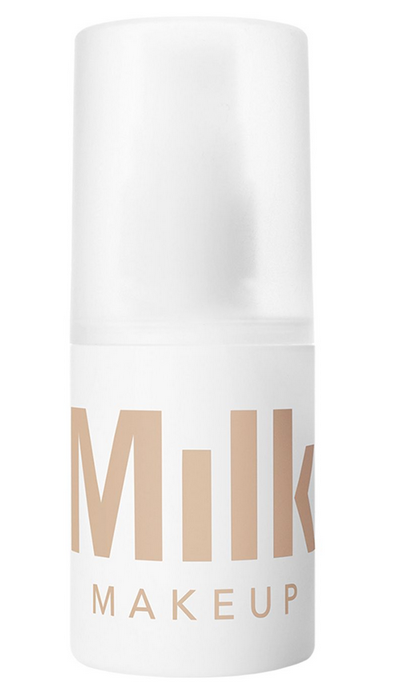 It blurs pores, sets makeup and mattifies just enough without knocking out natural glow. A genius antioxidant-rich mask in stick form, just twist it up, swipe it over skin and leave for five minutes to feel the soothing, brightening and radiance-boosting benefits. That solid format works so well I’m sure other brands are kicking themselves they didn’t get there first – it’ll never spill all over your dressing table/bathroom/handbag and is perfect for travel. As you’d expect there are plenty of other products worth exploring (Kush Mascara has a cult following all of its own among Beauty Editors) and at the time of writing several products have already sold out online, so you’d best get in there fast – if I don’t beat you to it.